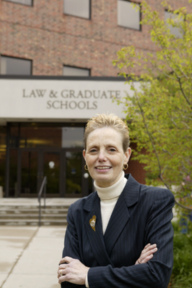 Marlene entered the practice of law following a successful career in nursing. She received her BSN from the College of St. Catherine and her MSN from Boston University, and her JD from Hamline University School of Law. She practiced at Jardine, Logan & O'Brien for most of her legal career, where she was a partner and held many leadership positions in the firm, including Chair of the Health Law Practice Group, the Firm Development Committee and Mentoring, Library and Technology committees. Marlene has an AV® Preeminent Rating in the distinguished legal directory, Martindale-Hubbell® and was selected to the 2014, 2015, 2016, 2017 and 2018 Minnesota Super Lawyers list. Marlene was also named to the Mpls/St. Paul Magazine Top Women Attorneys in Minnesota for 2015, 2016, 2017 and 2018. Marlene has been a frequent speaker on health law, health care, licensing and regulatory matters, as well as employment issues. She is an adjunct professor at Hamline University School of Law, has been an adjunct faculty member of the University of Minnesota School of Nursing and continues to speak to nursing students at St. Catherine University. She has authored numerous articles on health law and employment in medical, nursing and legal publications. In addition to her law practice, she has served as a mediator and arbitrator in cases involving employment and contract issues. Marlene is a qualified neutral under Rule 114 of the Minnesota General Rules of Practice.